The Television Critics Association Summer Press Tour kicked off on July 21st with the PBS portion, and Collider will be covering all of the networks and cable channels through August 3rd. While there, I felt very fortunate to speak with acclaimed and accomplished actor/director, and recently knighted, Sir Kenneth Branagh for his BBC television series Wallander, adapted from Swedish novelist Henning Mankell’s Kurt Wallander detective novels. We will run what Branagh had to say about the third series of films, premiering on PBS in September, closer to their air date, but wanted to share what he said about the next Jack Ryan film – an origin story that allows the audience to understand how Jack Ryan (played by Chris Pine) develops into a CIA analyst – which he is both directing and playing the villain in. In this exclusive interview with Collider, he talked about the appeal of taking on such a strong and complicated character, how he came to the decision to both direct and star in the film, that he expects to shoot from the beginning of September until Christmas, that he thinks it’s unlikely he will shoot in either IMAX or 3D, and more. In addition, he talked about his desire to do an IMAX 3D Shakespeare film. Check out what he had to say after the jump. Collider: Is the Jack Ryan film the next thing that you’ll be doing, and what was the appeal of taking on a villain? So, you’re going to both direct the film and be in it then? BRANAGH: So, now I’m going to direct and be in it, yeah. Do you know what the production schedule will be? BRANAGH: We start shooting in the beginning of September, and we’ll be shooting through until Christmas. Do you have any thoughts yet about filming in IMAX or 3D? BRANAGH: I’m still having conversations with our director of photography, but this particular film is unlikely to be in either of those formats. Although, as a filmmaker, I would like to do an IMAX 3D Shakespeare film. Instead of going to some strange part of the world and it’s a rainy afternoon and you’re looking for something to do, so you go to the IMAX theater, but you’re always watching the story of wolves or things that I understand to absolutely get jumping up and down about, I fancy a 40-minute A Midsummer Night’s Dream in IMAX 3D. I think we could cut that. Otherwise, it’s Secrets of the Door Handle: An IMAX 40-Minute Special, with great sweeping shots through the locks. 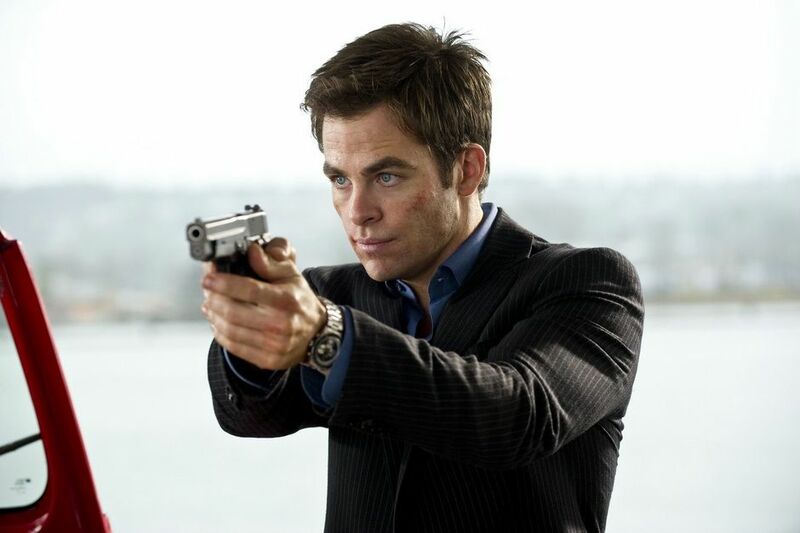 Because there was talk of some internal dissension over the direction of the film – with Chris Pine wanting it to be a character-drive espionage movie, producer Lorenzo di Bonaventura wanting an action film, and Paramount executives in favor of turning it into a thriller – how did the latest rewrite from David Koepp turn out? Does it have a fair balance of all three, or does it lean more towards any one of those things? BRANAGH: It’s evolving still, but it’s been a really great process with David Koepp. All the key players are involved. Chris Pine has made tremendous contributions, as has Lorenzo di Bonaventura. He was with the franchise before. My job is guiding all that. I feel very, very happy with the way it’s going. I feel my job is basically to bring all those influences together in a piece that is about something very, very particular, thematically, and people seem happy with that. I think that a lot of exciting elements are finding a place where the film is happily, truly about something. When you get that under something that is also a page-turner and has a high adrenalin factor, I think that’s a nice combination. I have high hopes for the picture. TRUE BLOOD Recap: "In The Beginning"